Since making his mark on the music scene with his 2005 debut album 'Introducing: Myself' Tom Gaebel, the man with the unmistakeable voice, has shown that he is here to stay. 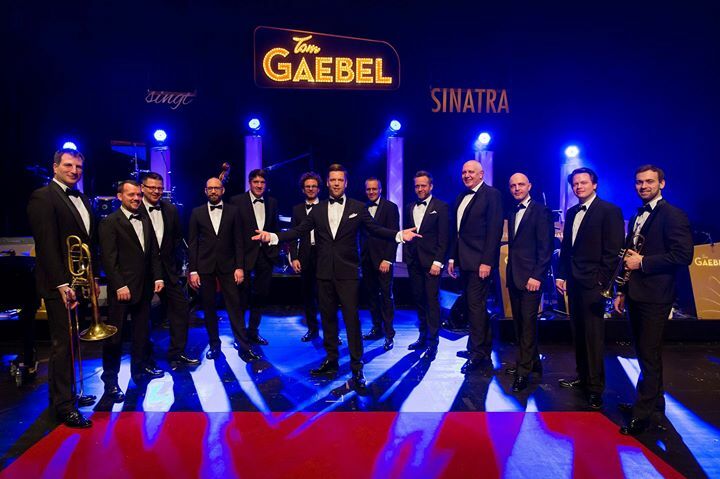 No other entertainer in Germany combines the slick and energetic big band sound with fluid 'easy listening' melodies. Born in Gelsenkirchen and brought up in Ibbenbüren (Westfalen) as the 2nd oldest of 4 brothers his formative years were spent playing music. His early classical music education included 'glockenspiel', flute, singing in a boy's choir and violin lessons. At 14 years of age he discovered the drums, at 17 the trombone and finally, in his mid-20’s, he found his true calling as singer. After studying trombone, drums and jazz singing in Amsterdam, he moved to Cologne and founded his first Big Band. Ever since, Tom Gaebel and his 12-piece band have been inspiring and entertaining German and world audiences wherever and whenever they take to the stage. And also on television; Dr Swing, as he is known to his fans, has been a welcome guest for many years on TV Shows such as TV Total, Zimmer Frei!,Die ultimative Chartshow and Willkommen bei Carmen Nebel. His current album 'So good to be me' is the sixth studio album from the multiple Jazz Award Winner.